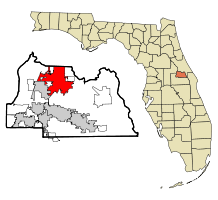 Sanford Florida was founded by Henry Shelton Sanford who purchased 12,548 acres in 1870 and established the community of Sanford as a transportation Hub. Known as the “Gateway City of South Florida” the town was settled by people from Sweden in 1871 who built houses and homes and worked in Sanford’s orange groves. Sanford was incorporated in 1877. Real estate in Sanford has developed over the years more recently with the downtown Sanford development project which has restored many of Sanford's historic buildings and roads. Have a Sanford Appraisal question? Call us! In Sanford Florida we appraise single family homes, condos, condominiums, vacant land, houses, manufactured homes, mobile homes and modular homes all over Central Florida. Serving a variety of purposes including divorce, bankruptcy, estate, probate, FHA and lending needs.